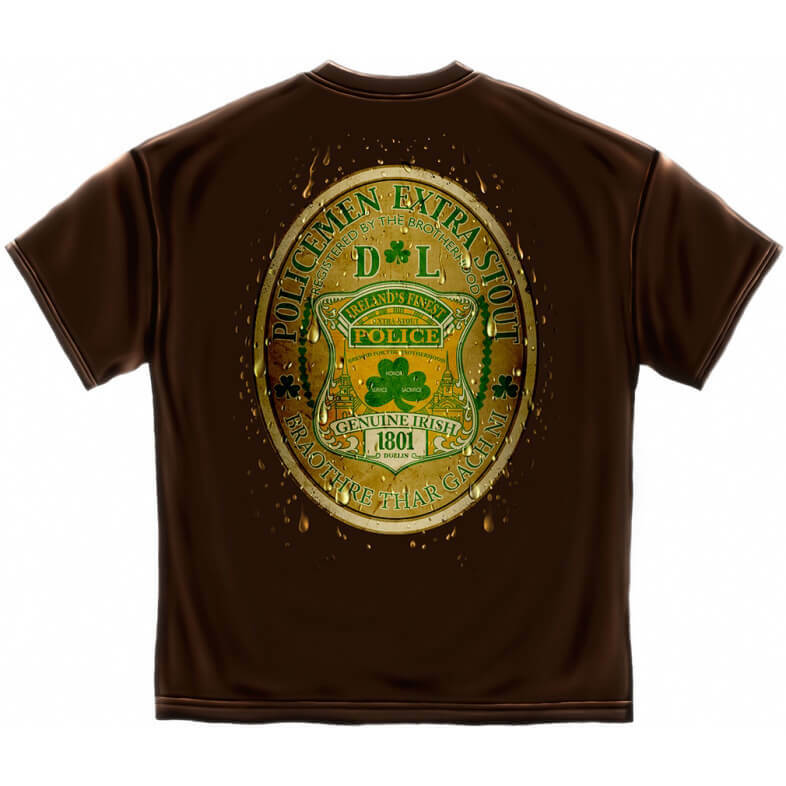 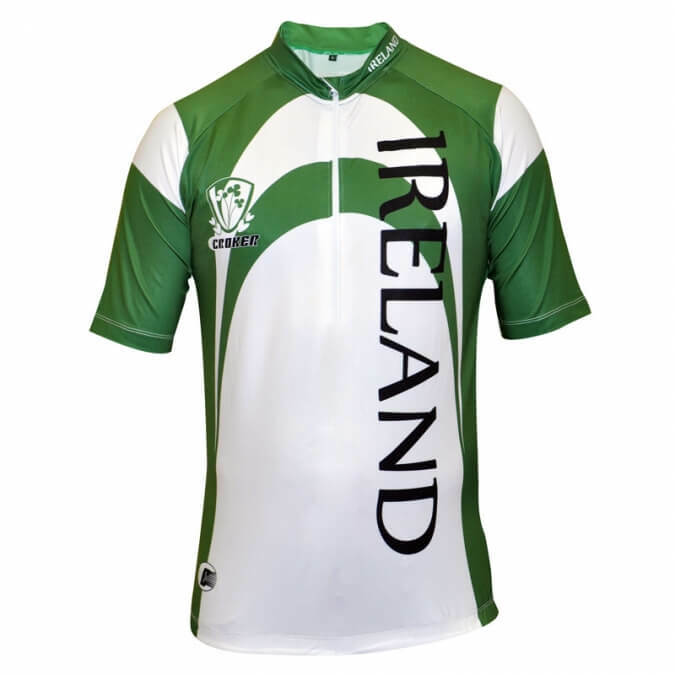 Irish Finest police officer shirt. 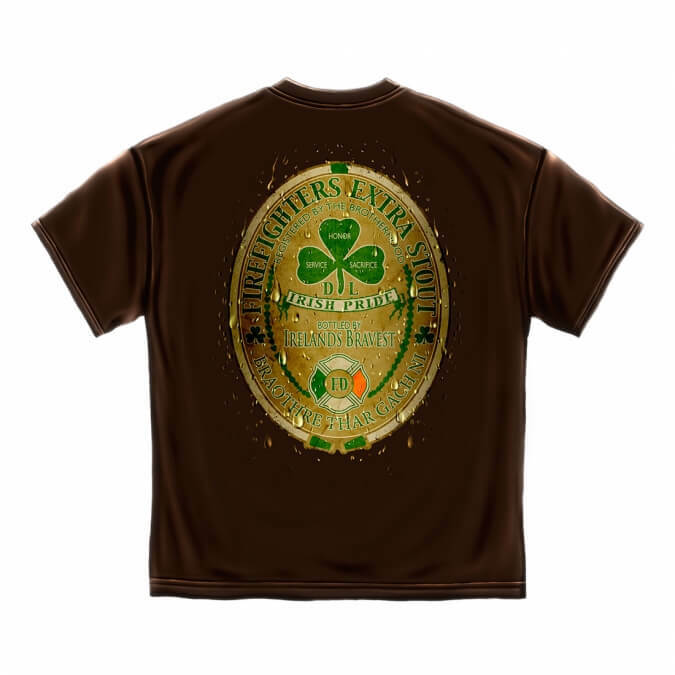 Honor, Service and Sacrifice since 1854. 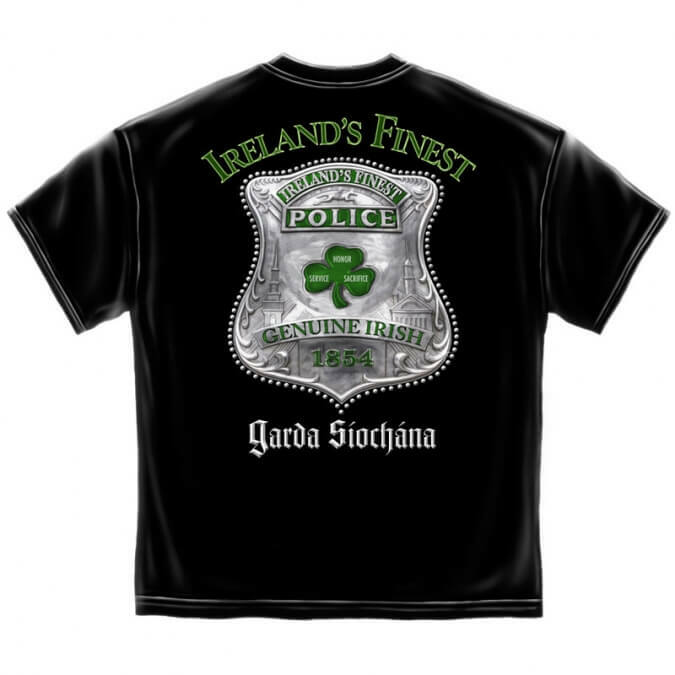 The “Garda Siochana” text is Irish Gaelic which means “The Guardians of the Peace” when translated into English. 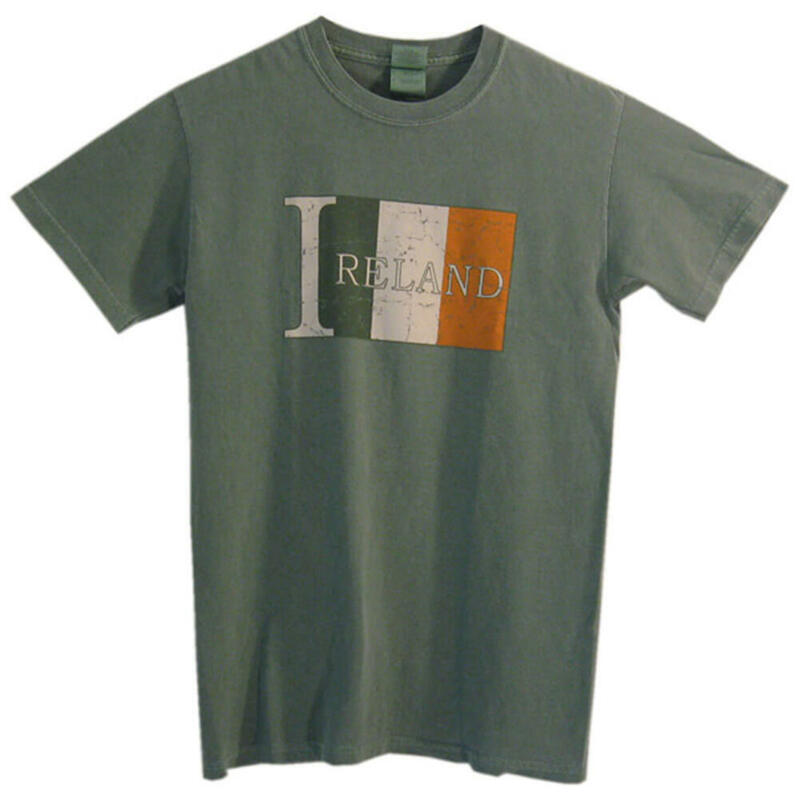 A genuine Irish item.